Multiple hiking destinations(trails) available from this starting point. 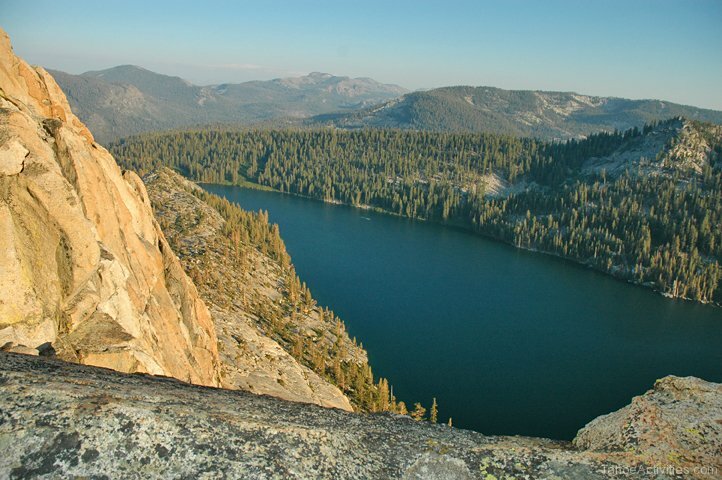 Directions to Trailhead : Take Highway 50 to Echo Summit and turn onto Johnson Pass Road. Stay left and the road will lead you to the parking area by Lower Echo Lake. Easy access and parking near the Echo Chalet. 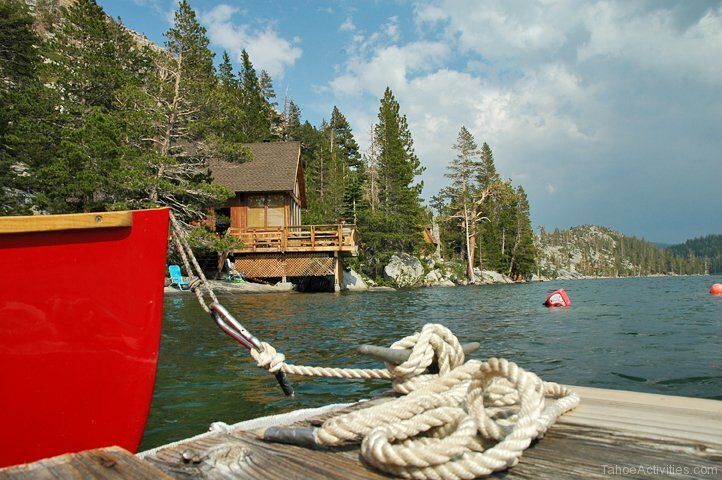 Get there early in the summer for parking closer to the water. 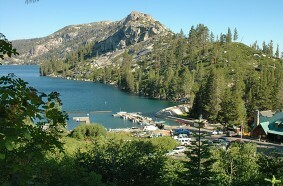 Trail : Many different hikes can be taken from this trailhead. 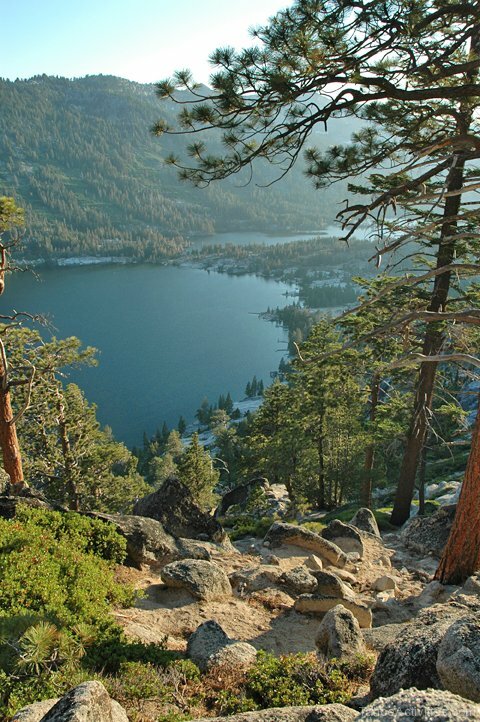 Many longer hike options await you farther down at Upper Echo Lake. 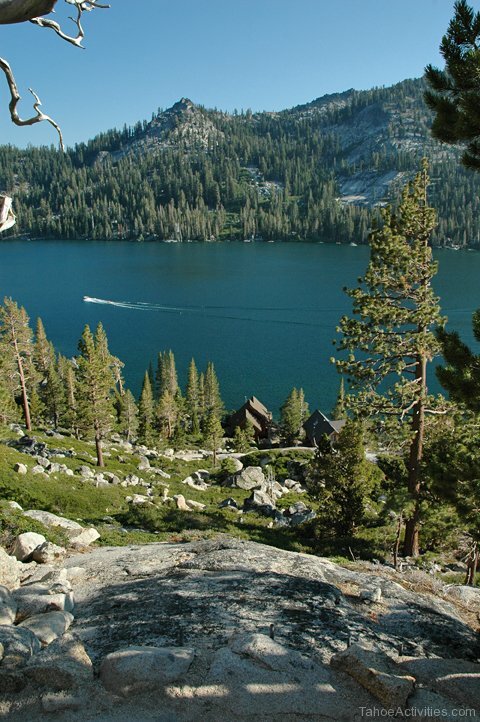 Echo Lakes Hike: For a short walk, hike to the far end of Upper Echo Lake. 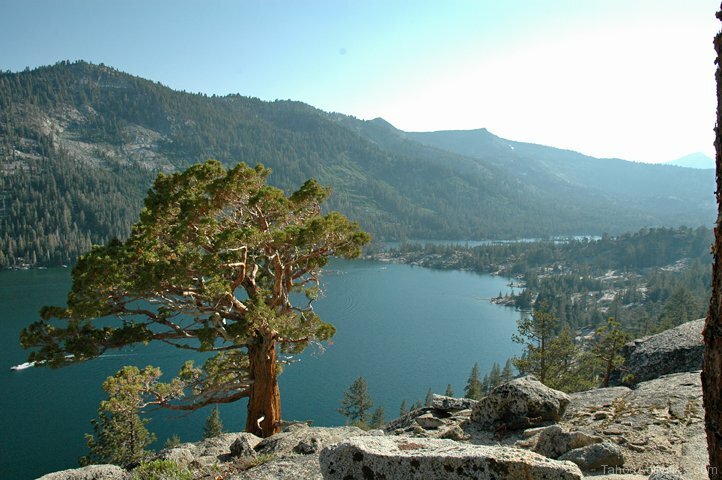 This is a nice day hike around Lower Echo Lake to Upper Echo Lake which is meant to be enjoyed for the views. 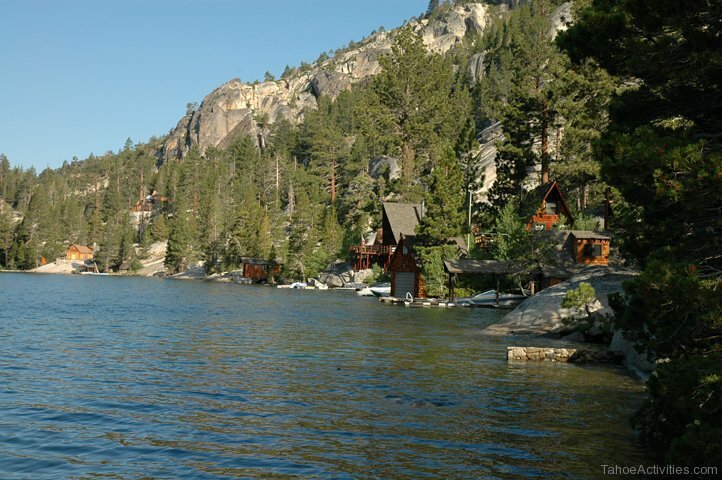 The scenic views of the lake, small cabins, mini water falls and rock formations will keep you engaged. Pack a lunch and eat at the waters edge. 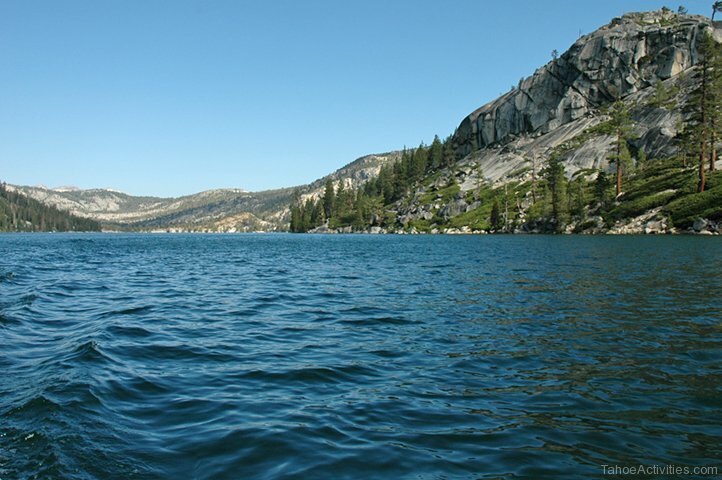 Take a swim in the chilly mountain water. 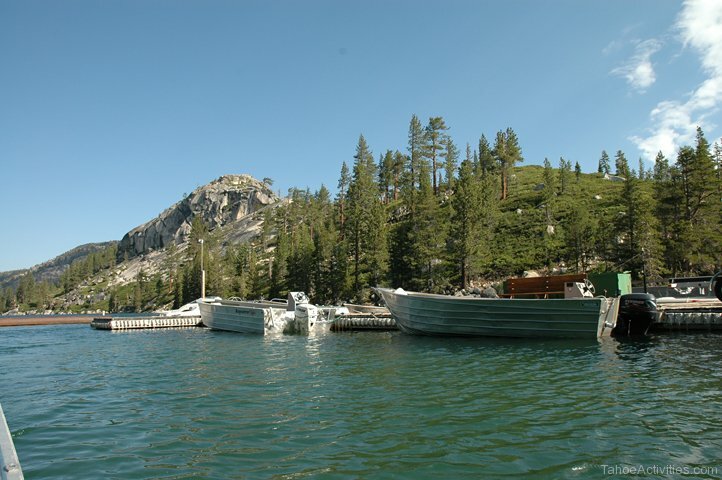 Attractions and Considerations : A boat taxi operated in the summer by Echo Lakes Resort cuts three miles off your trip. A nominal fee is charged for this service. 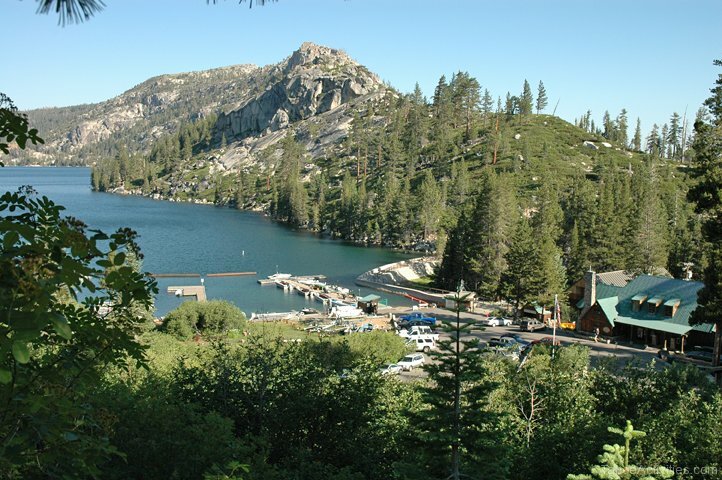 Contact the Echo Lakes Chalet for more information: (530) 659-7207. 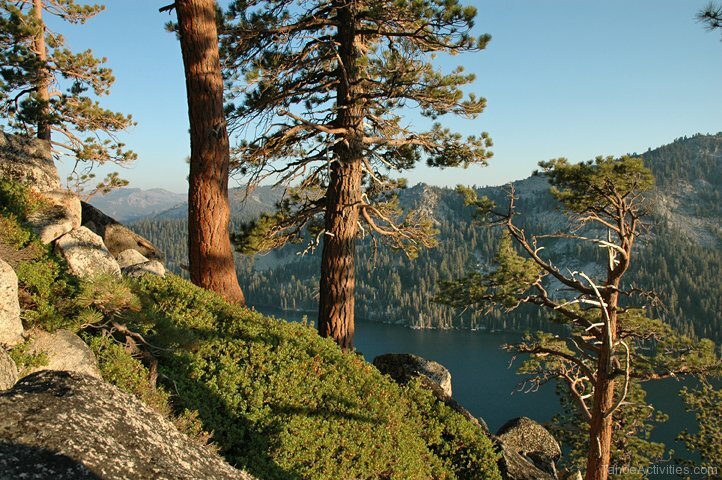 A wilderness permit is required. Day hikers, pick up your permit at the self serve area at the trailhead. 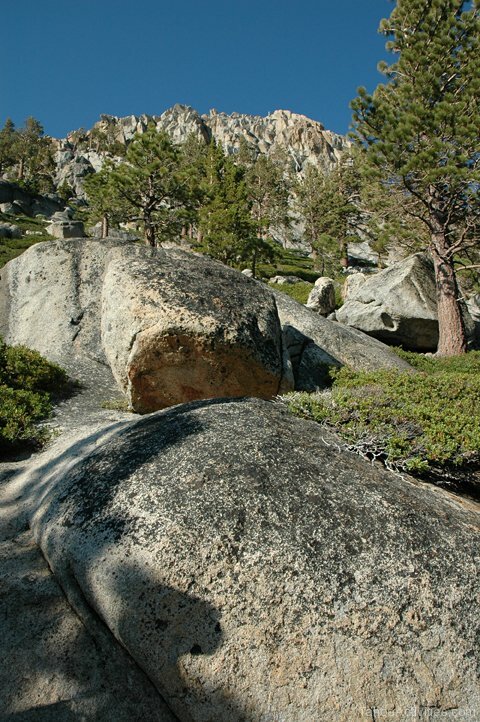 Overnight hikers will need an overnight permit for Desolation Wilderness. 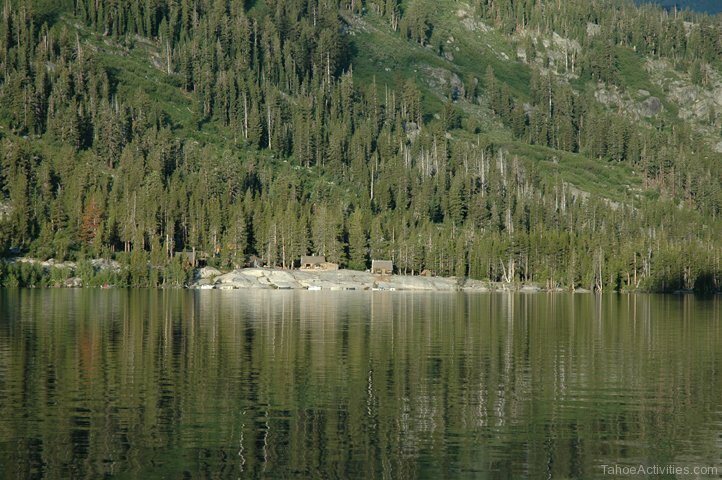 This permit must be purchased before you get to the Echo Lakes Trailhead. 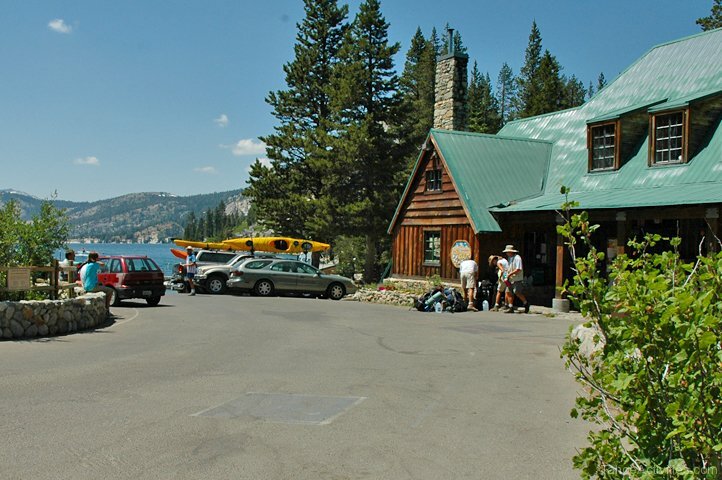 Visitors can reserve overnight permits online by visiting www.recreation.gov. 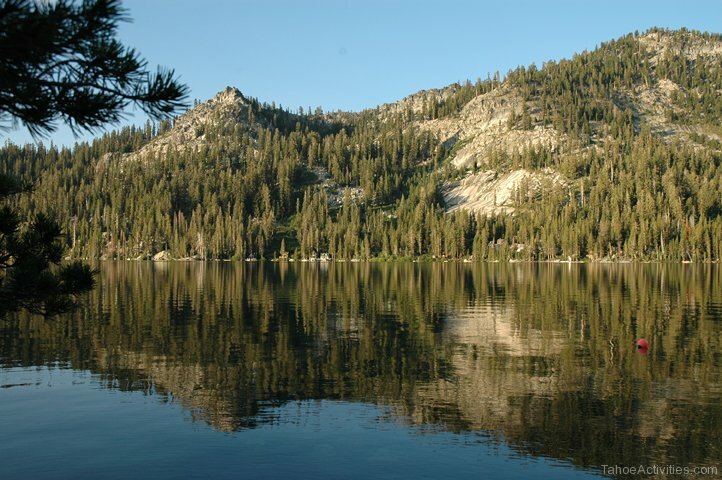 Useful Map Information : USDA Forest Service map: Lake Tahoe Basin Mgnt. Unit: R.17 E. T. 12 N.